The B.C. government recently declared they’re investing an additional $50 million in funding for Aboriginal language programs across the province this year. The move is a big one, and the funding will boost current revitalization efforts, as well as help create new ones. 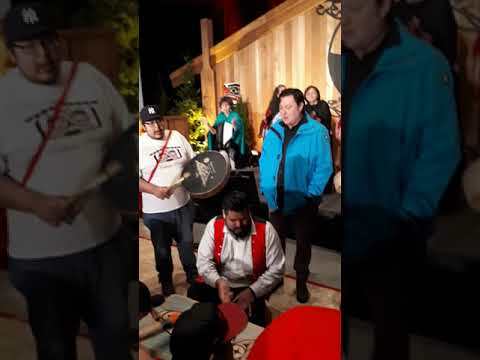 Minister of Indigenous Relations and Reconciliation, Scott Fraser, is happy to see it and believes it’s fully in line with both the United Nations Declaration on the Rights of Indigenous People, and the Truth and Reconciliation Commission Calls-to-Action. “I’ve been doing this job seven months, but in my 12 years for NDP as critic of Indigenous Affairs, every community I’ve visited, including the Nuu-chah-nulth communities, has talked about the critical loss of languages, and elders with those languages,” he added. The First People’s Cultural Council—a First Nations run arm of the provincial government—is responsible for allocating the funds to needy communities and their programs. According to its Chief Executive Officer Tracey Herbert, the FPCC has been coordinating language programs for years, but has been consistently lobbying for more funding to carry out their work. This new funding is appreciated, but long overdue, said Herbert. “The funding will allow us to expand our existing programs, making them available to more Indigenous communities around the province. We’ll work closely with First Nations to develop strategic language revitalization plans and immersion programs that meet each community’s unique needs,” she said. FPCC already administers grants to communities that apply for them, but upcoming projects will now be able to run longer (pushing them from one-year programs to multiple years in duration), and they’ll be able to work with a bigger student population, as well. But each community will still need to apply, said Herbert. FPCC also plans to expand its online dictionary, First Voices, she said. Only four percent of Indigenous people in B.C. (less than 6,000) identify as fluent speakers of their ancestral language. Most of them are older than age 65. And 22 Indigenous languages are almost extinct, says Herbert, emphasizing how urgently action needs to be taken. Dr. Bernice Touchie is a Nuu-chah-nulth language speaker and teacher from the Ucluelet First Nation. She is also on the advisory board for FPCC. She’s been working on acquiring the Nuu-chah-nulth language - and also passing it onto others - since the 1970’s. While the path has been wayward, and filled with ups and downs in that time, she is still pressing forward hoping for change. “There’s definitely attempts at revitalization, but it’s not the same as learning it in a natural way from your grandparents as you grow up,” she said. She recalls some of people in her community stopped learning and speaking the language in previous generations because they were concerned it would make it harder for children to learn English. Touchie believes total immersion is what’s best when learning a language. Years and years ago, when everyone in a community spoke their Indigenous language, like Nuu-chah-nulth, small children would just pick it up from sitting around with their parents and grandparents while participating in everyday activities. The Ucluelet First Nation’s Language Nest program is one way to recreate that environment. And they also do mentor-apprenticeship programs for the same reason, as so do some other communities across B.C. Unfortunately, the language speakers—often elders—are only available for a limited number of hours per week, and sometimes their health issues prevent them from making it into Touchie’s classes at all, she says. The new funding, however, might help to make language speaking a possible profession. It could be a career, rather than a volunteer job, which Touchie believes would allow more people to dedicate their lives to it full-time. And maybe it would gain the interest of the younger generations, too. Touchie watched one failure unfold over a few decades starting in the late 1980s. At that time, she worked for the Nuu-chah-nulth Tribal Council, as a language manager. She said she lost her job when a few elders decided they could teach the language to others themselves, without pay. After 25 years, there were no new speakers, and most of the old ones had passed on. Touchie doesn’t know the answer to whether younger generations will become fluent someday. But she believes the key to the revitalization efforts lies partly within the individual communities themselves, but also in collaboration efforts between groups. “The funding is going to be claiming that we as a community have our own resources and don’t need outside help, but I really feel we do. There needs to be a lot of collaboration, with local schools, and band schools. The communities will do best if they go in partnerships,” she said. Scott Fraser, B.C. 's Minister of Indigenous Relations and Reconciliation, speaks at the announcement of $50 million in additional funding this year towards efforst to revitalize First Nations languages in the province.